This special 12-pack will consist of four versions of Starr Hill’s Double Bass Double Chocolate Stout: original, peppermint, chipotle and mocha. The variants of this beer, already known for a rich taste that combines bittersweet chocolate and dark fruit, will be available in this variety pack of 12-ounce bottles as well as on draft. Stone’s Spotlight series, which began in 2014, consists of Stone brewers grouped in teams of two who compete to have their recipe turned into a distributed Stone beer. For Merc Machine, Miguel Ceja Andrade and Brandon Berube created an unfiltered double IPA that Stone describes as “one of the most intense hop experiences” it has ever created. This release will be available in 22-ounce bottles and on draft. A former brewpub exclusive, Liquid Truth Serum sets out to debunk the myth that hops equal total bitterness by adding all of its hop contents after the boil, resulting in strong aromatic notes of citrus and tropical fruit. Liquid Truth Serum adds hops in three separate additions of leaf, powder, pellet and liquid forms, and will be available on draft and in six-packs of 12-ounce bottles. A spice-dosing vessel is new for this year’s version of Avery’s annual release, allowing the brewery to achieve a smoother coffee flavor by continuously circulating Tweak through whole coffee beans from Boulder’s Ozo Coffee (Isabelle Espresso Roast). Tweak will be available on draft and in single 12-ounce bottles. This beloved ruby red brew from Tröegs gets an upgrade for the brewery’s 20th anniversary, adding loads of tart Balaton cherries, along with demerara sugar and wildflower honey for this “grand cru” iteration. 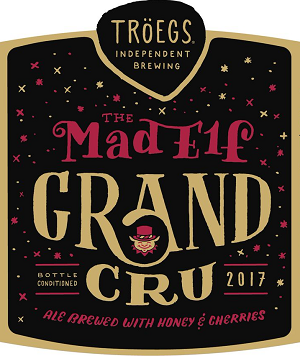 The bottle-conditioned Mad Elf Grand Cru will be sold in 750-mL cork and cage bottles. Originally created for AleSmith’s three-day Speedway Grand Prix event, this variation of the brewery’s imperial stout features coconut added multiple times during the brewing process, creating a balance of intense fruity flavors (from the vanilla and coffee) to the roasty, caramelly, and chocolatey flavors of the imperial stout base. Hawaiian Speedway Stout will be available in 750-mL bottles at the brewery and on draft nationwide. Each of Harviestoun’s Ola Dubh beers typically spends about eight months in single-malt whisky casks. This particular version spent two years in 12-year-old Highland Park barrels, adding additional layers of complexity to the already rich and boozy brew. Harviestoun’s latest release can be found on draft and in 11.2-ounce bottles. Opening with the Guild Fest, a 60-plus brewery festival held on Broadway Pier, and closing on the Beer Garden, a beer and food event held at the Lodge at Torrey Pines, this week of happenings across San Diego celebrates the thick beer culture of the area—after all, San Diego County boasts more breweries than any other county in the country. 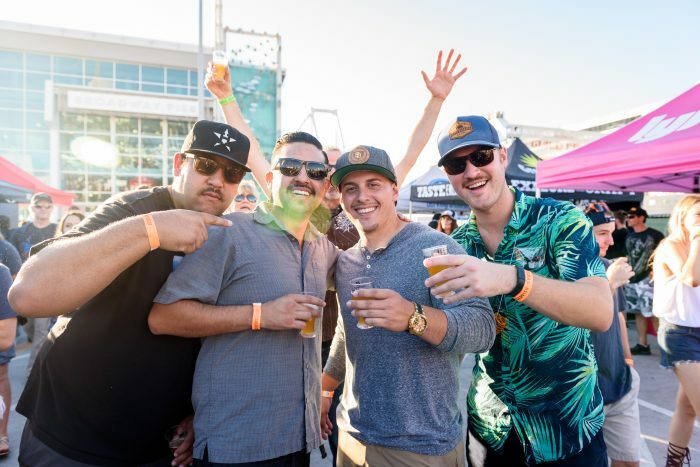 Billing itself as the most complete event in the world of Mexican beer, this festival comprises over 150 brewers, importers, exporters and industry professionals for a tasting exposition, educational seminars and beer competitions for established brewers and homebrewers alike. Held at Bazi Bierbrasserie, this event put on by the Portland Fruit Beer Festival showcases a series of cherry ciders and beers alongside cherry-infused foods and cocktails. This year the celebration cordially expands upon last year’s addition of chocolate pairings by giving patrons the option to purchase chocolate and beer flights as well as slices of chocolate to go with each beverage. More than 50 winter ales are offered at this celebration of the season, held under a large clear-top tent in Portland’s Pioneer Courthouse Square next to one of the city’s largest Christmas trees. Stouts, Belgian-style ales, barleywines and sours from breweries such as Drake’s Brewing Co., Gigantic Brewing Co., Hopworks Urban Brewery and Rogue Ales have populated this festival in the past. I have heard Pabst is bringing back Lucky Lager as a heritage brand much like it did with Rainier and Olympia.